Roadkill / Some bands are formed together through newspaper ads, others are the net result of a prolonged booze session at the local pub, yet the Dead End Heroes were formed by accident. A good accident! Whilst the initial discussions began around a solo album of Swiss drummer Daniel Voegeli (Me & The Rest), the project grew arms and legs and developed into an immense passion - a completely fully operational band that excelled at having fun sharing their common love of Hard Rock. After Voegeli had assembled his collection of instrumental songs he contacted exceptional Guitarist and Producer Rolf Munkes (Empire, Tony Martin, Majesty) to oversee the disc's production. However, Munkes was so impressed by Voegeli's drumming and initial song ideas that he encouraged him to develop a fully functioning band around the tunes and work towards completing an album. The first port of call was German vocalist and session musician Carsten Lizard Schulz (Evidence One, Domain, Lavalle) who took Voegeli's instrumentals under his wing and gave them new life.Through his engaging lyrics and ear candy hooks they developed into real songs with Schulz' trademark stamp alongside Voegeli's bedrock base. On Schulz's recommendation, the next member to join the fold was Scottish bassist Paul Logue (Eden's Curse, Doogie White, David Readman, Lavalle), who had worked with him on several productions. Logue at first was hesitant to belong to any group out with his main band but succumbed after completing the recording sessions at his studio in Scotland, such was the strength of the material. Last but by no means least, to add the missing Classic Rock ingredient to the recipe was Schulz' long-time friend and world-class Hammond Organist Holger Seeger (Midnite Club, Iain Ashley Hersey). His Hammond gave the songs the final flavour they were missing whilst a classy seventies touch and vibe. All five members were without doubt absolutely certain that this had become more than just a studio project and the Dead End Heroes were born. Sitting musically somewhere between late seventies and early eighties hard rock with a hint of Deep Purple, a pinch of Krokus and an extra serving of classic Michael Schenker, their addictive cocktail is simply good time old-fashioned Hard Rock that packs a punch. Sometimes ... it just works! Line-up: Carsten Lizard Schulz – vocals, Rolf Munkes – guitars, Daniel Voegeli – drums, Paul Logue – bass, Holger Seeger - keyboards. Track list: 01. Roadkill, 02. 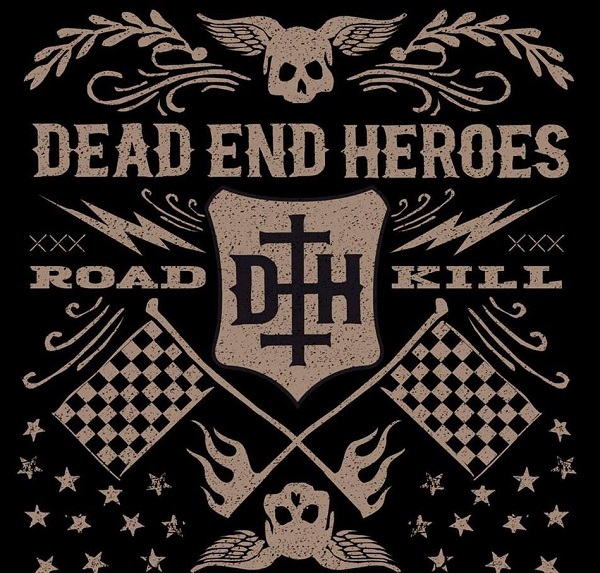 Dead End Heroes, 03. Cry For The Moon, 04. Feed The Flames, 05. The Wind Howls Fire, 06. Stormfront, 07. Hands Off The Wheel, 08. And The Loser Is, 09. Technicolor Love, 10. The Fire's Worth The Loneliness, 11. Gambler's Crusade.